This information is specific to the deprecated version one. For more up-to-date details, see: Multilingual Products or visit our API Reference. 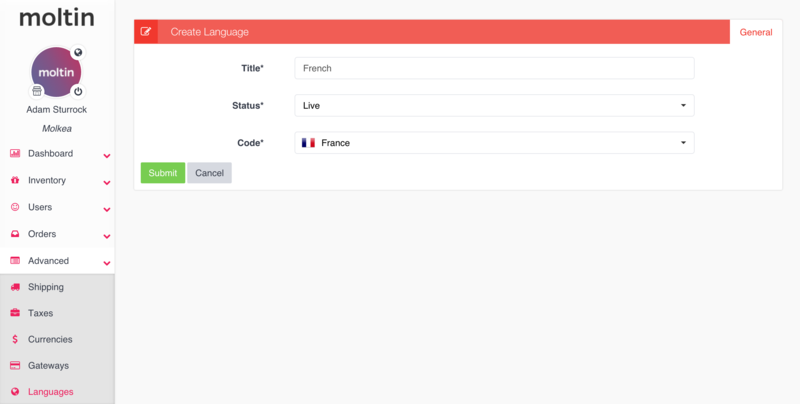 We're proud to announce that multilingual support is now out of beta and merged into version one of the Moltin API. 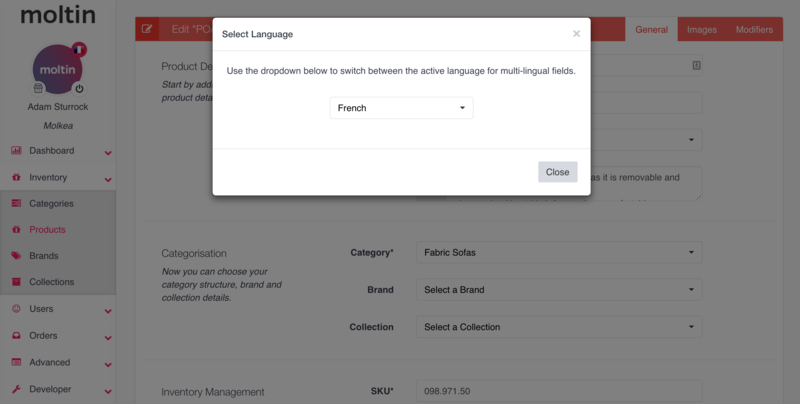 Multilingual takes you a step further to being able to localize your application's data further than ever. 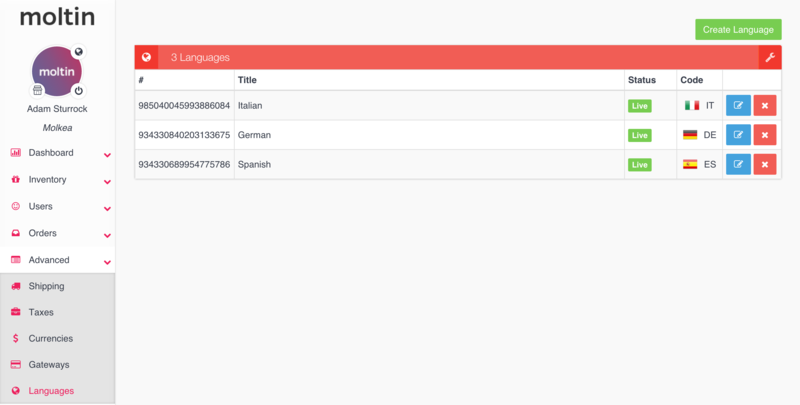 To get started with using multilingual, log into the dashboard and navigate to the Languages tab. Now hit save and switch between languages, you will see two separate data sets on the same product. This would bring back the French dataset applicable to that call. If no matching dataset is found, it will default to your base language.